How To Create A Brand Name For A Startup Business? 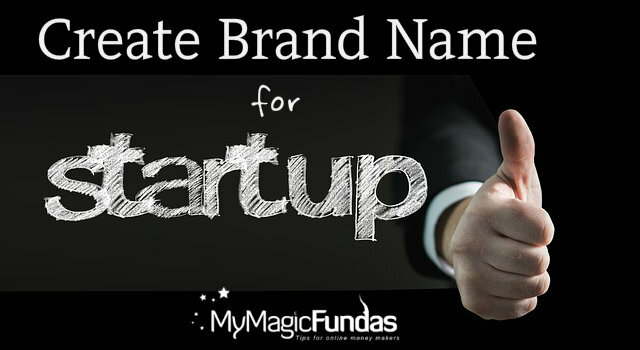 Creating a brand name for your startup business is very important today to take your startup to the next level. Good brand value of your overall business, products, or services can help you not just reach but go beyond your sales target quarter after quarter. The importance of branding is not a hidden secret as businesses have always focused on highlighting their brand positively at every single opportunity. Earlier, the overall process of branding the product or services relied on commercials on TV, print publications, billboards, etc. However, the mantle of helping business in developing its brand today is taken up by social media on the web. The internet evolution and the reach of social media today have made it simpler to create a brand name for a startup business. Creating a brand name for a startup business is not as easy as it seems! With so much competition and distraction out there on social media, it takes extraordinary skills and creative ideas to draw the attention of this social media bandwagon towards your Startup Company or brand. In this digital age, you need an online presence and an active social media circle to create a brand name for your startup business. While it is simple to develop your online presence and extend your social media circle, it is not as straightforward as we think. To create a brand for your startup business, you need to follow few startup branding tips which will help you grow your brand’s presence online and help you score high on social media too. Startup branding is not a new concept in the startup world and branding is often considered as the top priority. Just follow the tips mentioned below if you want to create a brand for your startup venture. You need a solid plan to build your brand. Good brand value for a startup relies on a variety of factors such as quality of product/service, feasibility, usability, customer support, etc. Hence, it is crucial to building a strategy to set up your brand development campaigns. Remember, Apple, Google, or Microsoft didn’t become huge brands overnight. It took years for these companies to reach where they are today. “What’s in a name?” is a famous quote from Shakespeare. However, the idea behind the quote is misinterpreted throughout the years. The quote applies in the context of something specific suggesting that the changing the name of a particular doesn’t change its properties. A rose will smell the same no matter what you call it. However, in the business world, that’s not the case. You need a good, memorable name that people can relate to and can easily remember. An example of a good brand name is when you ask for a Pepsi or Coke, instead of aerated drinks. Another example is looking for new pair of Jordans, instead of shoes or sneakers. Well, that’s what a good brand does! It takes the competition out of the equation. So, pick a relatable, unique, and memorable name for your startup and follow it with a distinctive yet straightforward logo to compliment the title. Since you are in the hi-tech world, you don’t need any professional skills to make an eye-catching logo. You can create your own company logo with online apps such as the Wix logo-making tool. Building a DIY logo requires inspiration, so you can also browse logo examples to get those creative juices flowing. The first rule of any business today, irrespective of whether you plan to run it online or offline, is to set up an official website. A website is a gateway to your business for digital users who are either looking for relevant products/services or trying to locate the nearby stores. Today, almost everyone owns a Smartphone, and it is a norm to locate or find the business online first and visit it later. 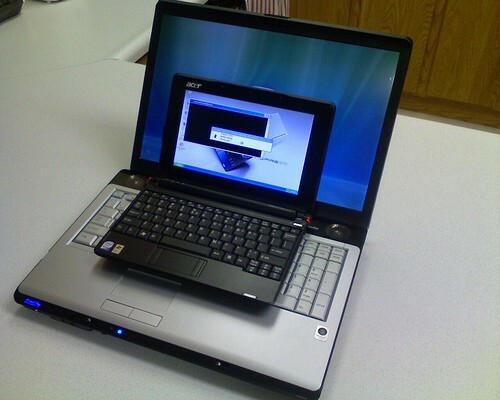 Also, when you create an official website for your startup, you must make sure that it is completely optimized for all devices such as desktops, laptops, tablets, and smartphones. You don’t need technical skills or knowledge of programming languages to create a website. 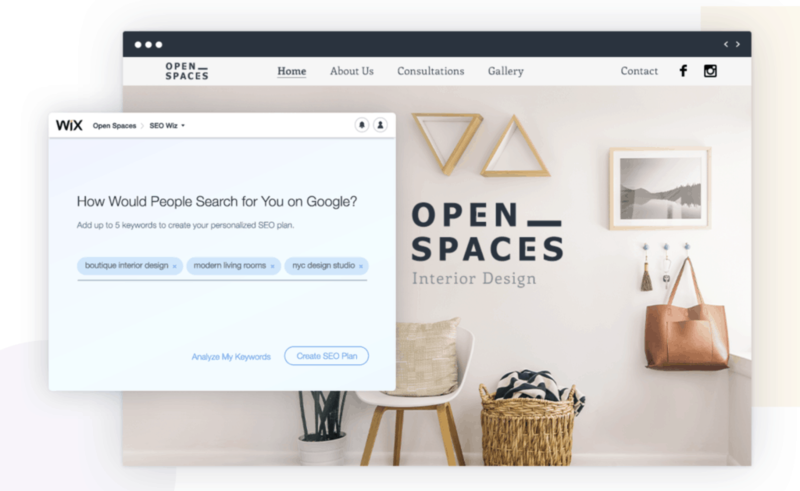 Just log in to Wix, and you will see how easy it is to setup and launch a site on the platform. It is a free website builder, and no experience is required to build a stunning website. Make your website presentable with pages like About Us, Story, Products/Services, Contact page, and most importantly a blog. Consistency is the key to success today, or your business will be left behind. The digital world is fast-paced, and people move on very (maybe even too?) fast nowadays. It is important to get consistent with your audience with regular updates on your website. Such regular updates will bring the users back to your site on a regular basis. The best way is blogging. With blogging, you can create articles on topics relevant to your startup and attract readers interested in solutions and services offered by your business. Besides blogging, you can also organize events within your city or at multiple places based on your target market. Event management can be a costly affair, but it is useful in taking your brand value to a whole new level. For those who aren’t aware, SEO stands for Search Engine Optimization. SEO is a method or process where the website is optimized for quality content, W3C compatible site architecture, and backlinks to improve search engine rankings for specific large volume keywords. An SEO-optimized website is more likely to attract search engine traffic, especially from Google and Bing. If your startup isn’t focusing on SEO, then your business is missing out on a lot of potential customers from search. Besides the traffic, the visitors from search also add brand value to your business. If your search engine presence within your industry, then your website will regularly pop up in top rankings for relevant search queries. Wix again comes handy here! Yes, here is a wonderful resource to do the SEO perfectly! The click-through rate of your website impressions on search engines increases as your brand value rises. A memorable and relatable brand name also helps improve the click-through rate in search engine rankings. While search engine presence helps build brand value, the social media presence boosts brand engagement. With Facebook, Instagram, Twitter, and now YouTube becoming a norm among digital enthusiasts, it is unwise for a startup to ignore social media channels. Create profiles on these social media platforms and regularly update relevant information that attracts your target market. Add inspiring images and videos to promote your startup brand on social media. Besides posting updates, you must also be approachable in social media. Ignoring complains or issues related to your startup business on social media can tamper your brand value. It is essential to listen and address your customers’ concerns with the right solutions. Solving the problems on social media will also add more value to your brand as your followers see it. Social media presence is also the best way to engage and to be in touch with your audience. It helps in building influence in the market and broadcast to the essential public updates on new products/services in the future. Building a community around your brand is very difficult, but if done correctly, you will find the most loyal community of people for your brand. In this digital work, your tribe is everything. It is vital for your brand to have a significant number of followers, especially the ones who love your product or service. For a startup, it is not easy to create a tribe instantly. It takes a lot of planning and precision to build one. Take the example of Boosted Boards. The first name that comes to your mind when someone talks about the boosted board is the popular Vlogger Casey Neistat. He is the key to the success of Boosted Boards, the electric skateboards now loved by many across the globe. Today, Boosted Boards are the ultimate choice for electric skateboards, and whether one owns it or not, they love it for sure. Another excellent example of a community-powered brand is GoPro action camera. This tiny gadget started as just another camera, but the team behind GoPro knew that they are competing with the likes of Sony, Canon, Panasonic, and Nikon. Hence, the brand took a different approach by targeting bikers and people interested in adventure sports such as surfing, skydiving, skiing, and scuba diving. There are plenty of brands in the industry which have an active community. WordPress, Android, iPhones, sports bikes, DJI, etc. are few other perfect examples of community-driven brands. As a startup, you can also build a community around your brand by launching an affiliate program, reward points for referrals, discounts, and deals now and then to acquire more customers. Last but not the least is customer service. The problem with new startups is that they rely too much on customer acquisition but very little on after sales customer support. A single disappointed customer in the early days of the startup can result in more substantial damage than you expect in this world of digital media. To develop your brand name in the industry as a startup, you must respect your customer and listen to their queries, problems, and reviews. Try and improve your service or product based on it and always be open to criticism of all kinds. You can start with setting up tutorials, knowledge base, and 24/7 customer support system on your website. Brand value is critical these days for startups to get to the next level! Unless and until your startup is exclusively solving a significant problem, there’s no way it will survive without quality and positive branding. Follow the startup branding tips mentioned above and develop campaigns and strategies to create a brand name for your startup business. You have come with a great topic. The brand name is a crucial part of any business and while selecting brand name for startup, we have to look many facts because it decide the success of the business. For this, we should need great guide and strategies. You have provided informative tips and it will help to choose a brand name for the startup. Choosing a compelling logo is very important because a logo is an identity of any business. All your tips provide crucial information and it will effectively help people to choose a brand name. Of Course, you are right. To be consistent online, blogging would be a great tool. Higher the Branding or audience reach would be higher the business’s success rate. Glad to see that you write an article by the way of motivating such start-ups in a better way. Great Job. What a great article!. I am bookmarking it to read it again. It seems like a very interesting topic to write about. Your posts is really helpful for me.Thanks for your wonderful post. Tremendous article Nirmala. Wish you write more article like this. Bookmark this site for read again and again. superb article Nirmala … i am going to share this with my friends. I think this is the best ToDo List for startups but in my opinion you should also add social branding and sharing too. Perfect guide for startup business. A startup business should not use the name which is long, contains digit. The name should be remembrance not conclusive. Thanks for this useful and informative article its really perfect information for the startup new business. Writing awesome content, content sharing in different social media profiles, and most specially offering quality service/products to your customers will definitely improve your brand name in no time. Thanks for sharing another awesome content Nirmala!